The server and the client. 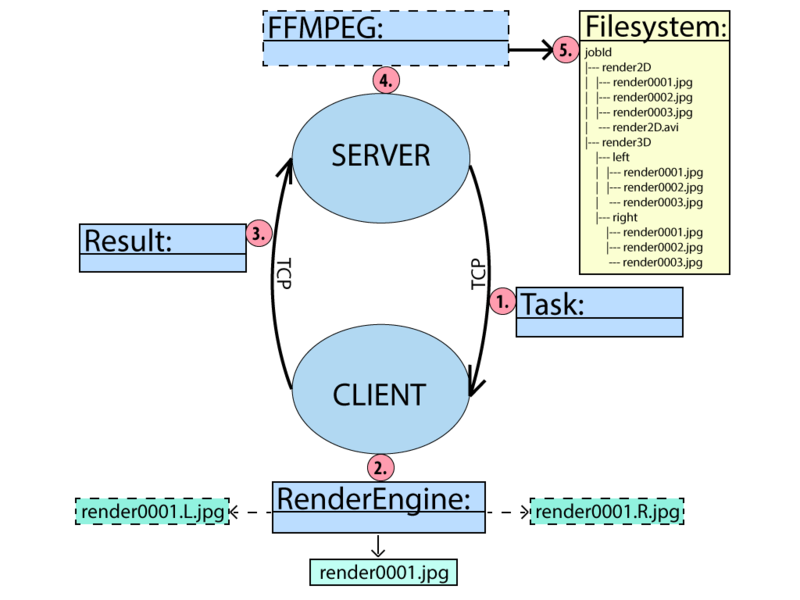 As it's the brain of your renderfarm the server controls data transmission and allows you to start a new rendering. This in turn is then sent to all other computers which are running the client. Clients will render the scene and send back the finished image to the server. You can then collect the image files for video editing and compositing. 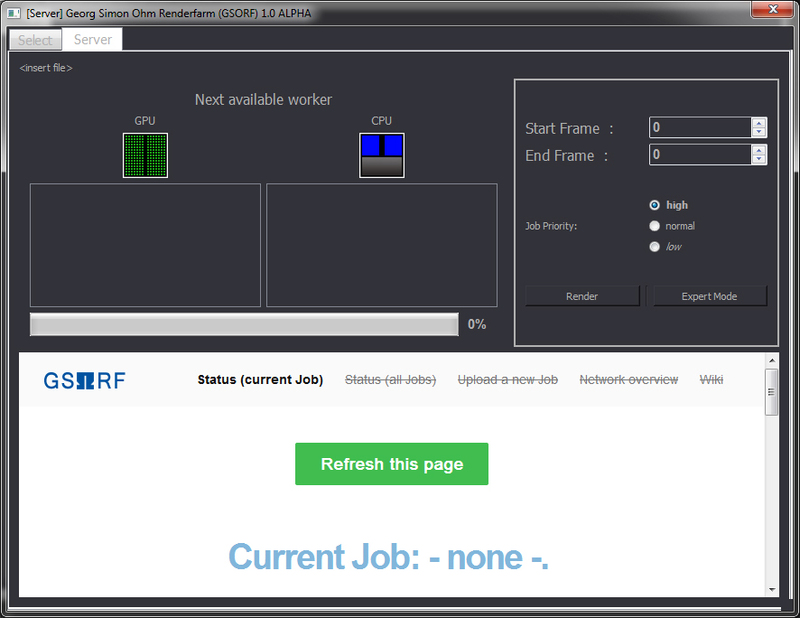 Start GSORF on a machine where you want to store all your finished renderings. It will automatically search for a server in the network. This should fail since there are no servers on your network right now. Select „Server“ from this list. You are now presented with the server perspective. For now we will leave the server open and return here again as soon as some clients are running. 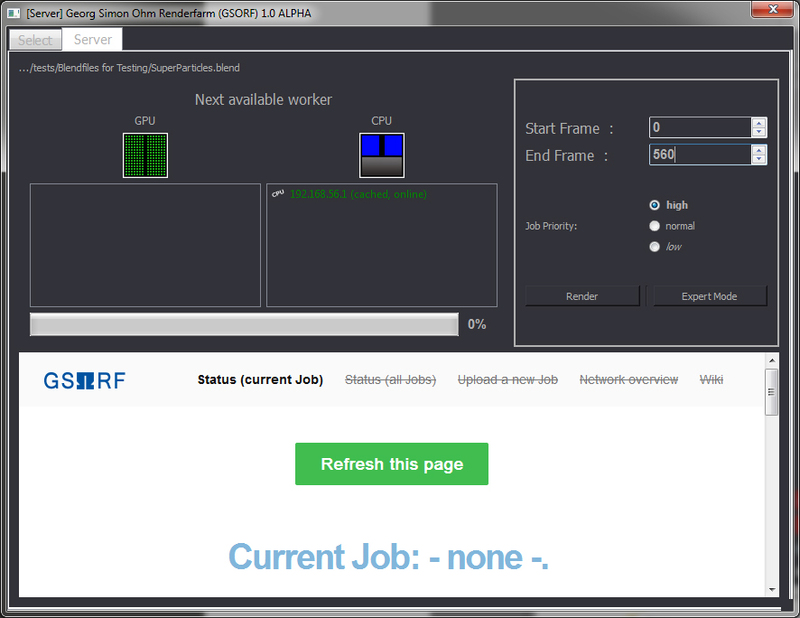 Start GSORF on the remaining machines as well. It should now automatically recognize the server on the network and switch to the client perspective. Repeat this step on every machine you want to use for rendering. 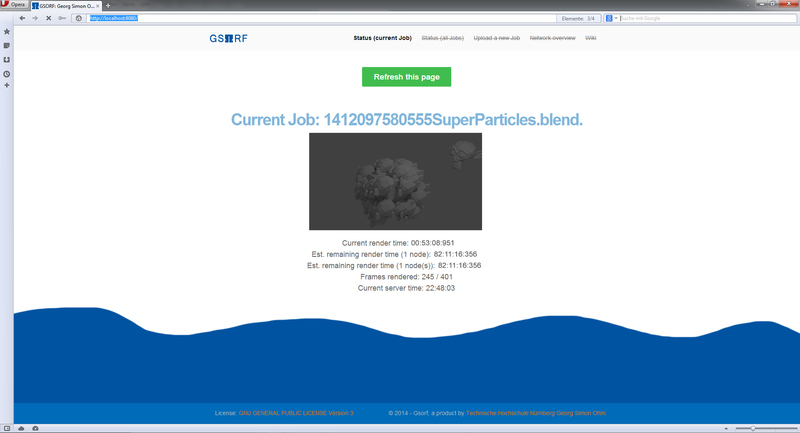 You have now set up everything to start rendering your .blend file on the network. Take a look at the server. It should now display all available render clients. 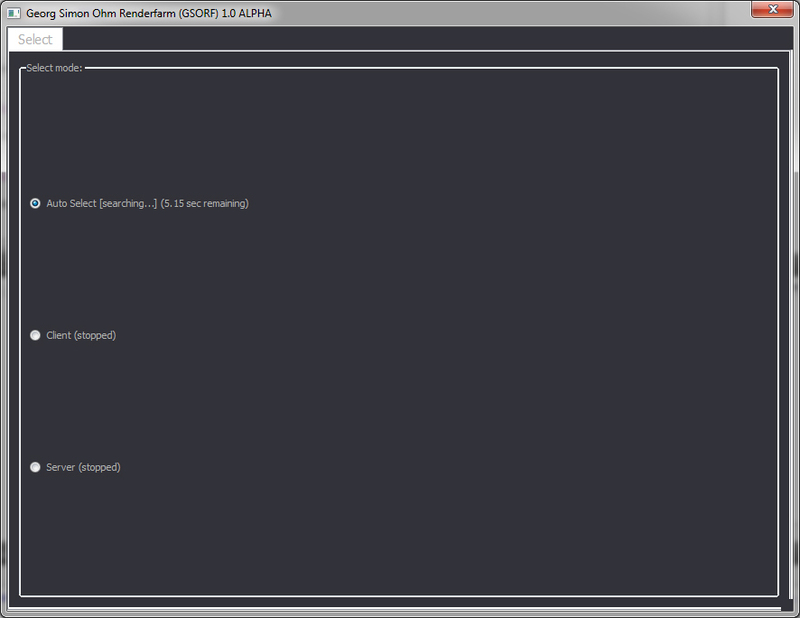 To define a new render job, drag and drop your .blend file in the server. The name of your file is now displayed in the window top. Next, set the start and end frame. 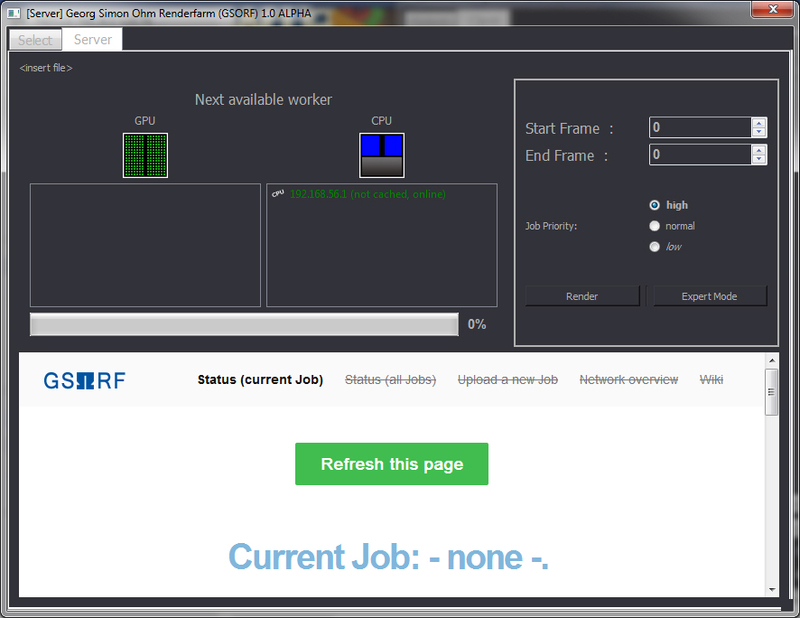 You can now press „render“ to send the job on the network. Depending on the complexity of your scene this may take a while, please keep the server running while the rendering is in progress. As soon as the rendering is complete, you can collect the images. 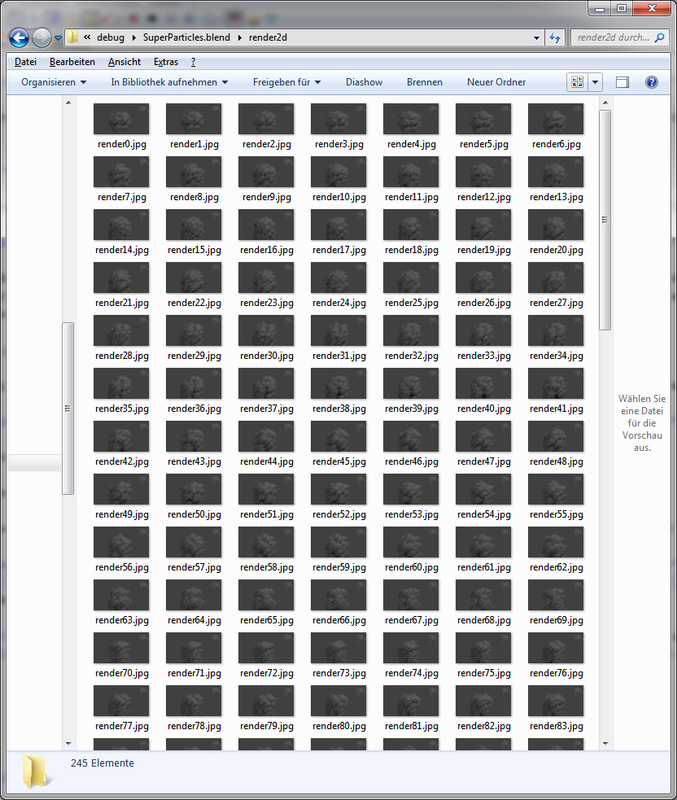 The animation frames are stored in a separate directory on the server, which is called according to your .blend file. That's all - have fun with GSORF.